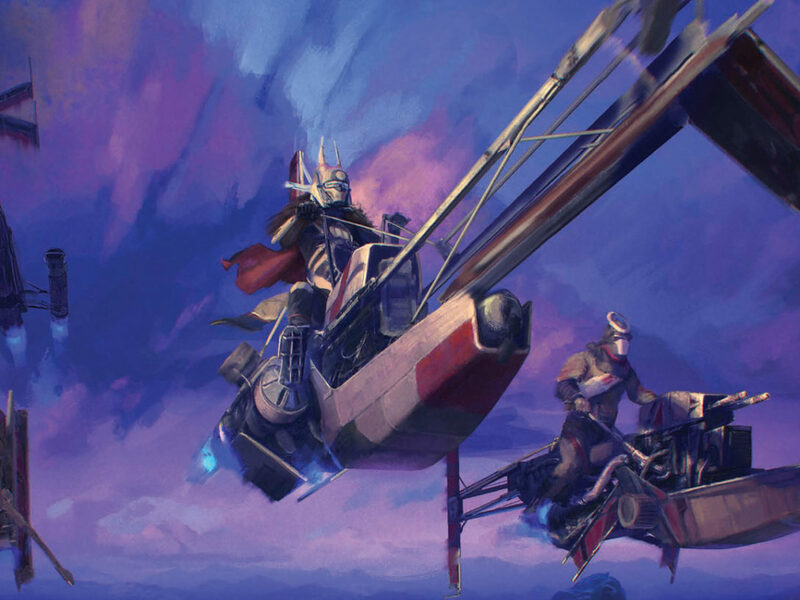 StarWars.com talks to Marc Hagan-Guirey about his new book and the beautiful creations within. The ships of Star Wars are simply iconic, inviting artists and crafters to reproduce and interpret their favorite vessels in exciting ways, through many different materials and media. 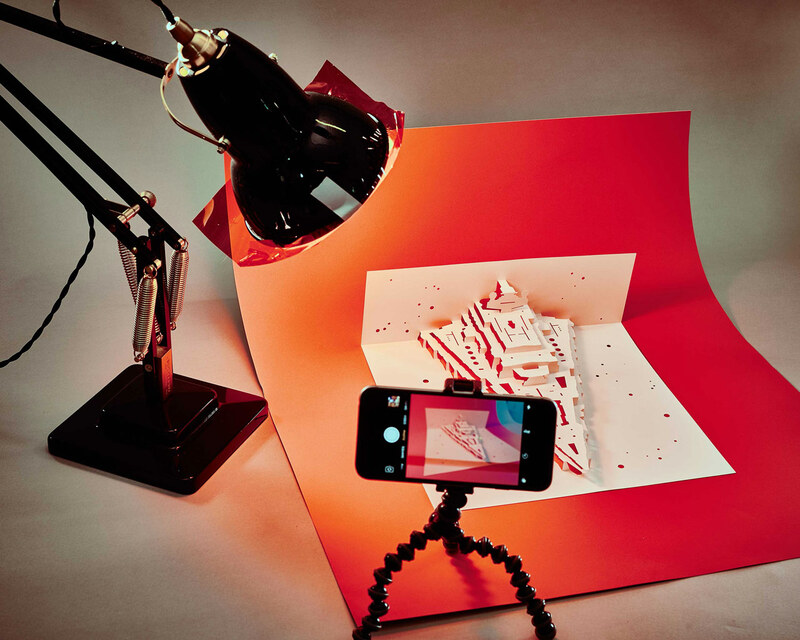 When you think of model-making, you might think of plastic model kits, or even wood, metal, or cardboard — but now you have a new option: paper! 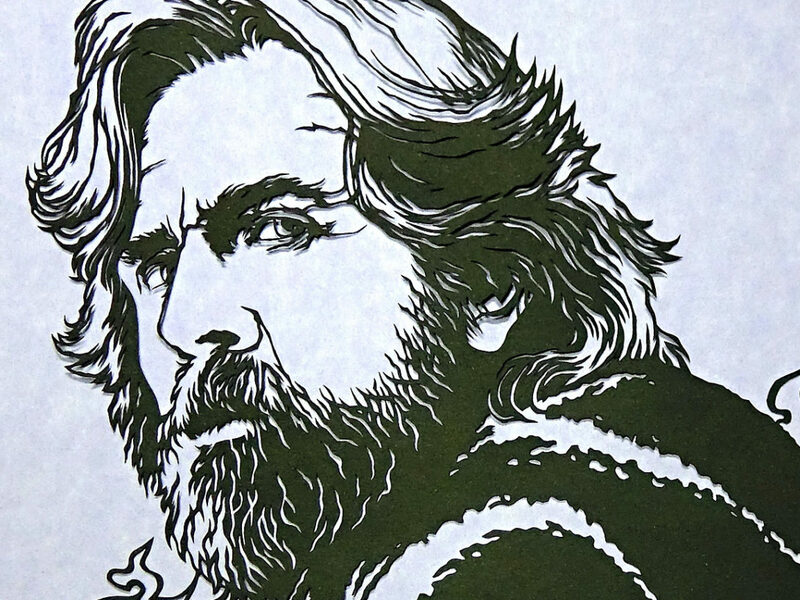 From Chronicle Books, Star Wars Kirigami by Marc Hagan-Guirey (a.k.a. 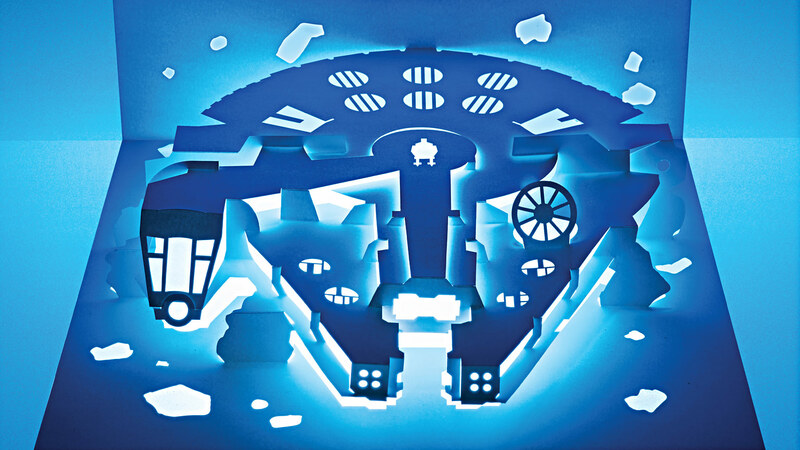 @PixelDandy) brings the cut-and-fold pop-up style of papercraft to the galaxy far, far way for beginner and skilled makers alike. A collection of fifteen Star Wars ship and vehicle paper model projects from across the films, Star Wars Kirigami has the model templates printed on cardstock along with step-by-step instructions and plenty of photographs to help with the assembly and also inspire the final display. Rounding out the book, there is also concept art and cool background info about the design of the vehicles and vessels for the movies. 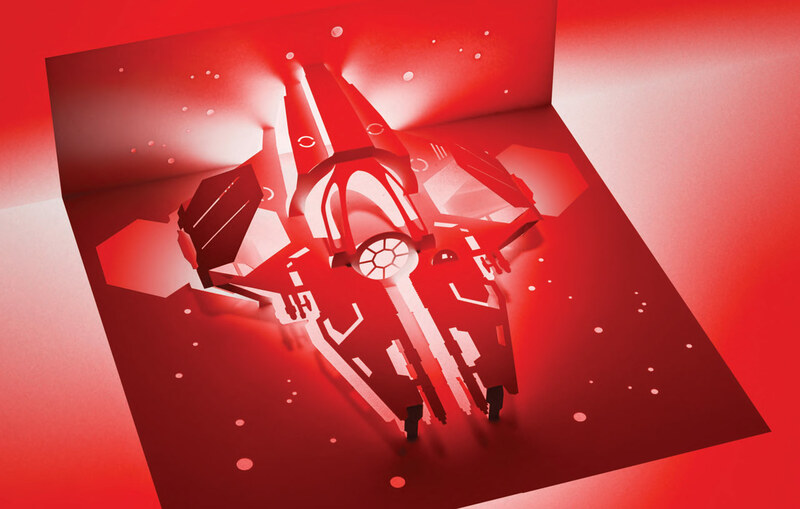 StarWars.com reached out to Marc Hagan-Guirey via e-mail to learn more about the book and getting started in kirigami. 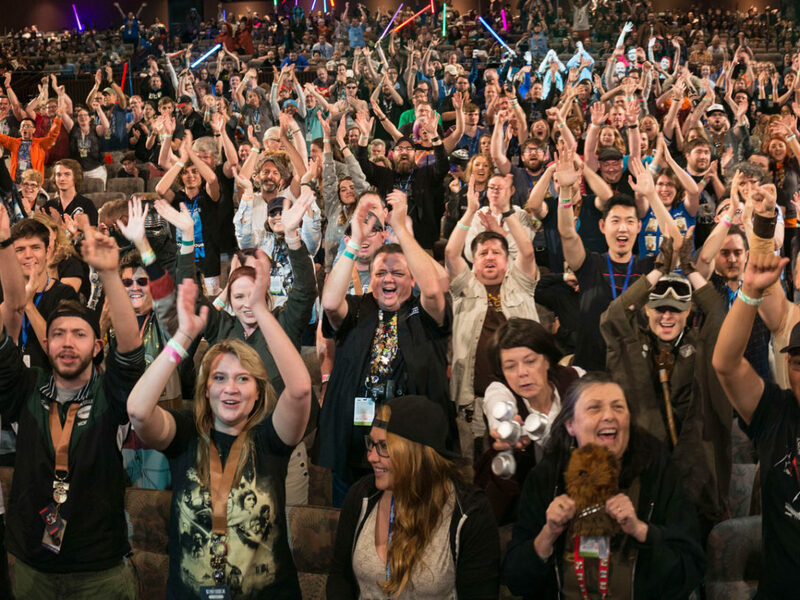 StarWars.com: Let’s start with the basics. What is kirigami? Marc Hagan-Guirey: If you’ve ever made a paper-cut snowflake, then you know what kirigami is. It’s basically cutting and folding paper, as opposed to just folding it like origami. The cool thing about kirigami is that you can make pretty accurate architectural replicas from just one sheet of paper — and in this case, vehicles from the Star Wars saga. 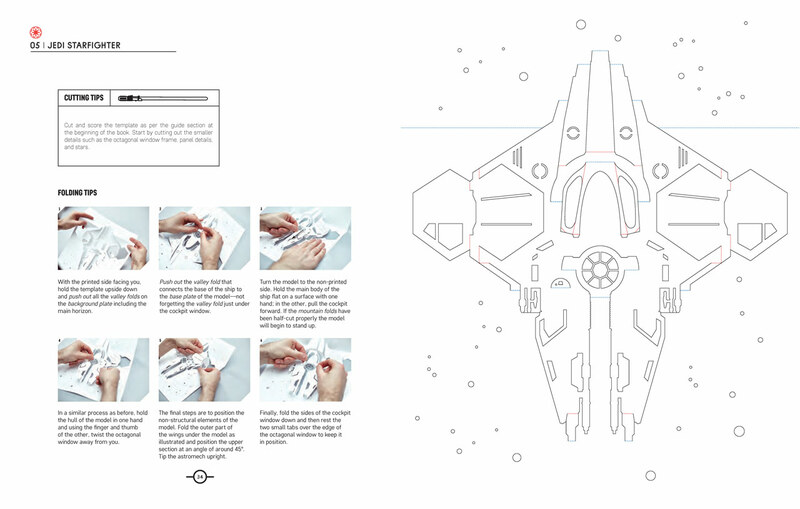 StarWars.com: The book contains both printed templates on heavy duty cardstock as well as step-by-step folding instructions. What else do fans need to get started with these kirigami models? 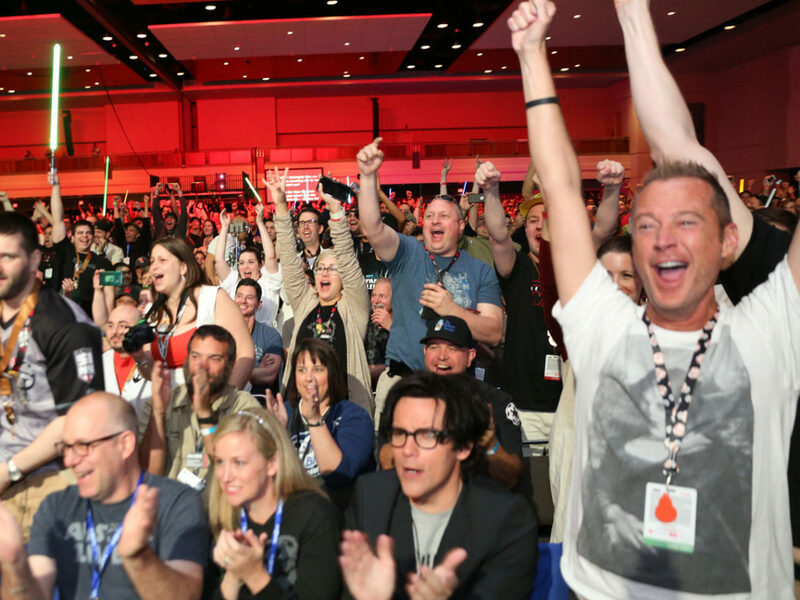 Marc Hagan-Guirey: If you like crafting you’ve probably got everything you need already. If not, most things you can buy are inexpensive and easy to come by: a cutting mat, a steel ruler, and, most importantly, a decent cutting blade. It’s essential to get something like an X-Acto knife rather than a utility knife. Think surgeon’s blade. StarWars.com: As an expert kirigami designer with a history of awesome Star Wars projects, how do you go about designing model templates for other people at various skill levels to cut and fold? Marc Hagan-Guirey: When creating a new model my instinct is to go wild and to make something really advanced, but you’re right, I was very conscious of making this book accessible to a variety of skill levels. Luckily within the Star Wars universe, a template doesn’t have to be overly complex before you can see a recognizable ship take shape – say for example, a triangular shape becomes a Star Destroyer. 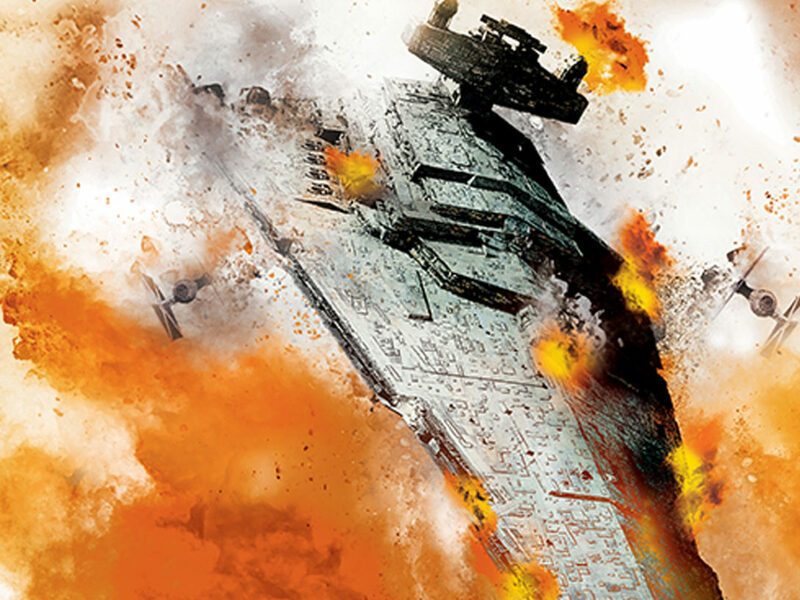 When I was writing the book, I interviewed Jake Lunt Davies — a concept artist for both The Force Awakens and The Last Jedi. He told me there’s an ethos in the creative department that states when designing a vehicle for the Star Wars galaxy, someone should be able to draw that ship with just a few simple shapes. When you look at the plethora of ships out there, you can see that’s really true. 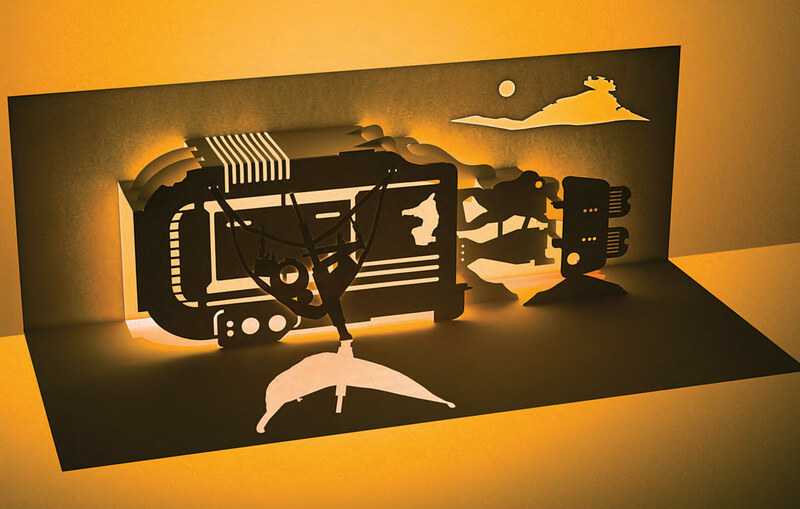 That’s why kirigami lends itself so well to Star Wars. You can create instantly recognizable vehicles with relatively simple techniques. At the same time, I do want to challenge people a little so that’s why the book has beginner to expert templates. StarWars.com: Star Wars Kirigami has models of starships and vehicles from across the saga, from Anakin’s podracer through the rebel snowspeeder and X-wing fighter to Rey’s speeder and a First Order TIE fighter. How did you select which models would be included in the book? Marc Hagan-Guirey: There were so many to choose from but I just had to include all of the classics. I had designs for the Alderaan cruiser, First Order transporter, Jabba’s sail barge, A-wing, B-wing, etc., but it all came down to which ships felt more iconic. 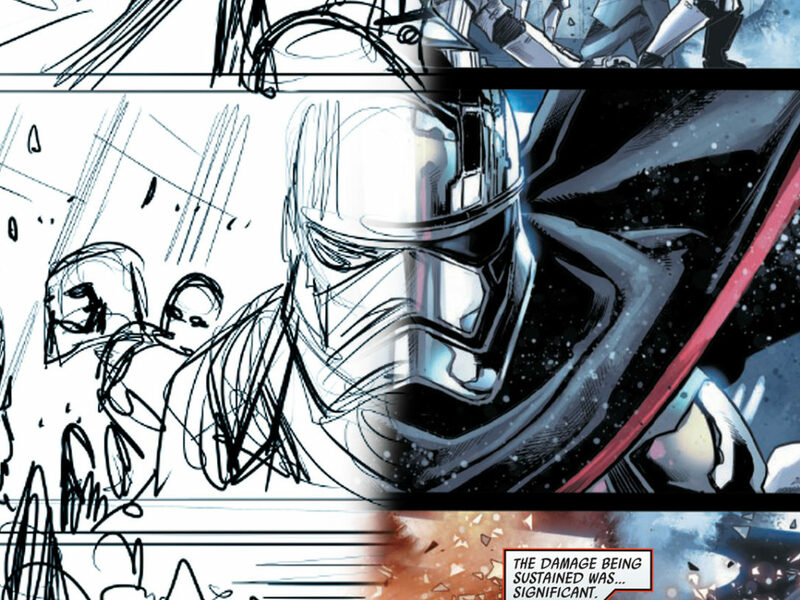 Maybe I’ll keep the extra designs for a Special Edition. 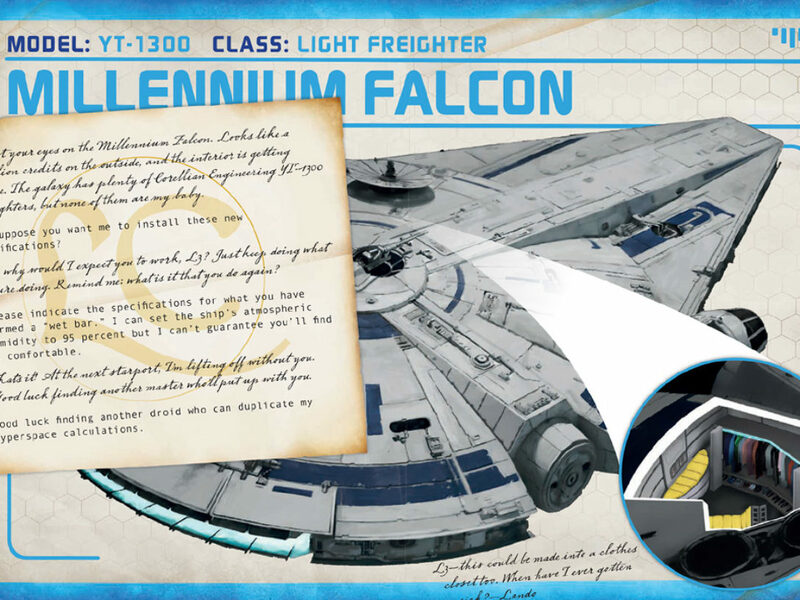 StarWars.com: This book, combining your love of Star Wars with your skills in papercraft, is the result of an encounter with J.J. Abrams? Marc Hagan-Guirey: That was possibly one of the most surreal experiences in my life. I’d been invited down to the set and was trying my best to keep out of everyone’s way. The next thing I know is that after talking to J.J. about my work, then he was frogmarching me across the Starkiller Base set to introduce me to Kathleen Kennedy. Prior to that, I’d actually been talking with Lucasfilm for quite some time. I’d had a couple of telephone calls and a few meetings at the Disney head offices in London but meeting J.J. cemented it. A few months after that meeting I had a call from the product development team at Disney saying they wanted to start talking again about potential projects. StarWars.com: The book even includes [what was] a sneak peek for The Last Jedi with a model of the TIE silencer. What was it like to develop a model based on a ship that hasn’t even appeared yet in theaters? Marc Hagan-Guirey: It so was thrilling to have early access to something from The Last Jedi! Isn’t that every fan’s dream? During my initial meetings with Mike Siglain, creative director for Lucasfilm Publishing, we agreed that we would be including something from Episode VIII. Lucasfilm sent me a rotating 3D render of the TIE silencer about six months before the ship was revealed to the public. My jaw hit the floor when I saw it — I guarded that file like it was the missing map to Luke Skywalker. I felt incredibly privileged to be part of the secrecy that surrounds the film even in such a small way. 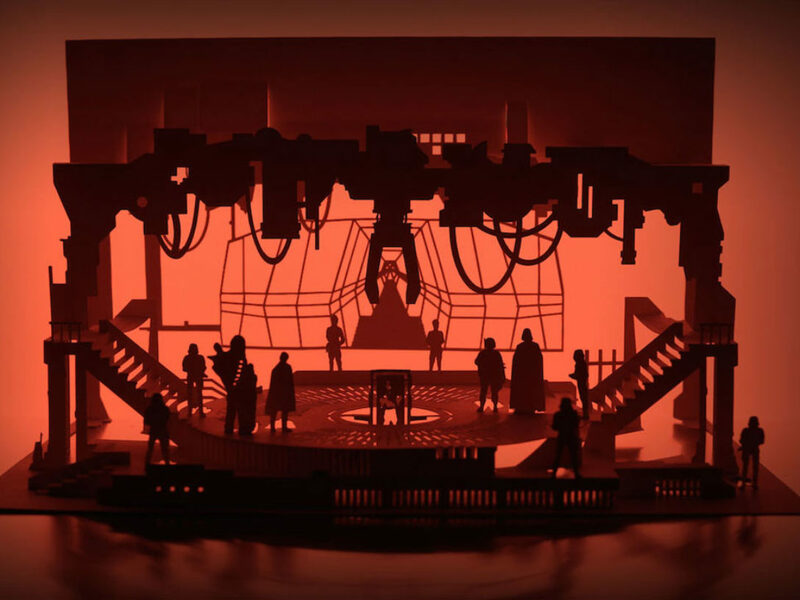 StarWars.com: What tips do you have for fans who want to design their own kirigami models? 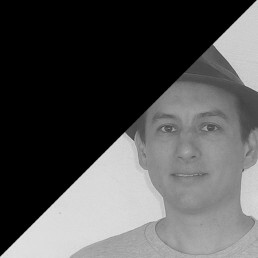 Marc Hagan-Guirey: Start simple! Learn basics like making cubed shapes and once you’ve got the hang of that, you can start to embellish them. Oh, and buy my book! 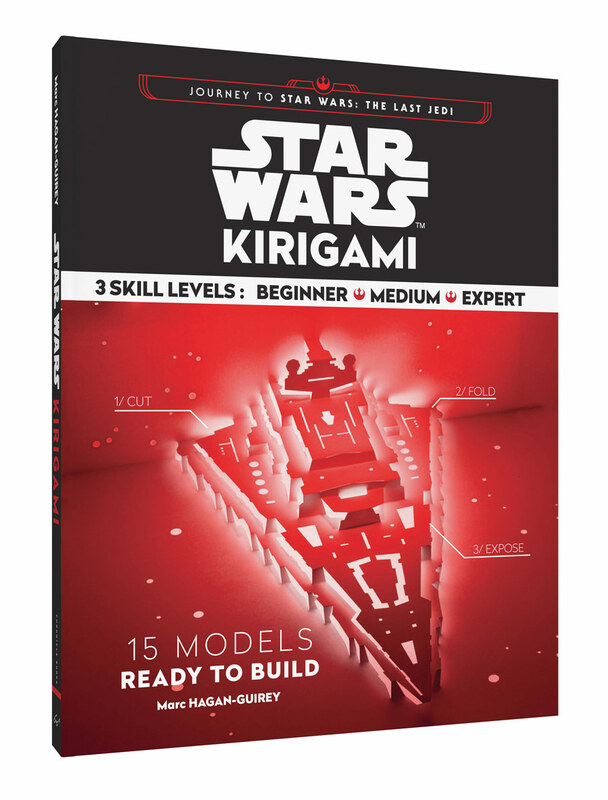 Released in September, Star Wars Kirigami is available in English from Chronicle Books and in French from Hachette Heroes Marc Hagan-Guirey can be found online as @paperdandy on Instagram, @pixeldandy on Twitter, and at Facebook.